The other day, I was re-reading Greg Tate's 1989 article "Nobody Loves a Genius Child: Jean Michel Basquiat, Flyboy in the Buttermilk." The article resonates with me now as I noticed a the finalists for the 2017 Kingsley & Kate Tufts Poetry Awards. The cold fax is this: the reason that Puryear's work came before the judges in São Paulo...is because Kellie Jones, the first Black female curator with the unprecedented clout to nominate a Puryear and have it mean something to the art world's powers that be. Before we can even begin to appraise Puryear's exceptional talents we need to recognize the political struggles that positioned Jones in her exceptional historical position. (Jones, by the way, is the daughter of the late Amiri Baraka, a figure whose words are quoted throughout Tate's essay on Basquiat). Tate reminds us that black visual artists, among others, never lacked talent. Instead, what often eluded them was a level playing field and the connections that white artists were constantly benefiting from. He was talking that back in 1989. Fast forward to this 2017 announcement. 3 of the 5 Kingsley Poetry Award finalists are black poets. Also this: 3 of the 5 Kate Tufts Poetry Award finalists are black poets. African American poets were awarded Kingsley & Kate Tufts Poetry Awards in 2016 and 2014. 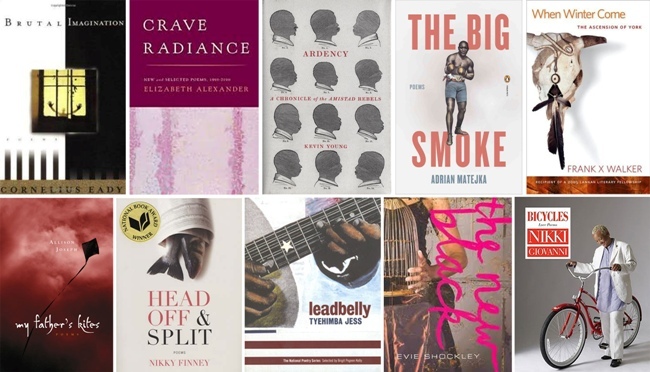 I've previously studied the remarkable works of some of the 2017 finalists--Tyehimba Jess, Vievee, Rickey Laurentiis, Phillip B. Williams, and Jamaal May. In light of Tate's 1989 article and in relation to my ongoing work on prizes and awards though, I realize that beyond celebrating the exceptional talents of poets, "we need to recognize the political struggles that positioned" the nominations and elevations of black poetry in all these competitions.